TORONTO – September 28, 2010 – Today, Waste Reduction Week in Canada welcomed Recycle My Cell (www.RecycleMyCell.ca) as the official national sponsor of Waste Reduction Week 2010 (October 18-24). Recycle My Cell is a national industry initiative led by the Canadian Wireless Telecommunications Association (CWTA), along with cell phone manufacturers and service providers, to raise awareness about mobile device recycling. The goal of this free program is to keep handsets from entering Canada’s landfills. And just as important, the proceeds from the recycled devices contribute to some great charities at the same time. As the national sponsor, Recycle My Cell is lending support to Waste Reduction Week 2010’s two key initiatives – the “Ease My Load” Campaign and the “Recycle My Cell Challenge”. Running from October 1 to November 15, 2010, “Ease My Load” will be a call to action for Canadians to reduce the amount of waste they produce. Participants will download a cut-out of Waste Reduction Week’s mascot, “Atlas”, and submit short videos or digital pictures of how they involve Atlas in their 3Rs activities. Waste Reduction Week will share submissions through its Youtube channel. More information can be found at www.wrwcanada.com. 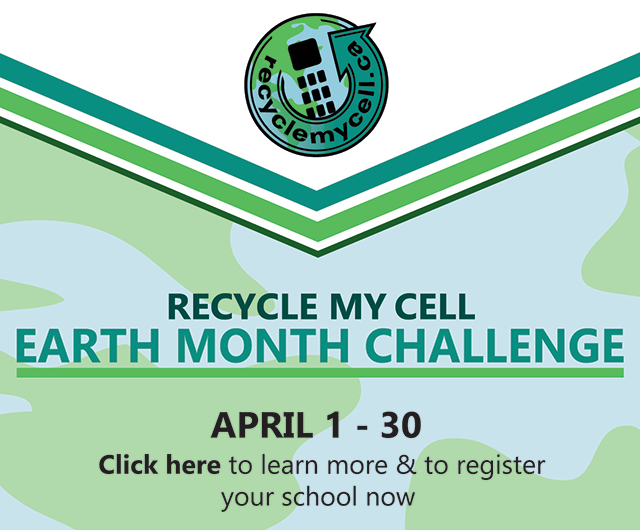 On October 18, 2010, Waste Reduction Week in Canada will launch the Recycle My Cell Challenge, a contest for high schools and post-secondary institutions, where students can easily recycle their old wireless devices and accessories. Recycle My Cell will provide everything needed to easily set up a Recycle My Cell collection site for old and out-of-use cell phones, smartphones, wireless PDAs, accessories, pagers and cell phone batteries. Upon closing of the challenge on November 30, 2010, participating schools will be able to submit their collected phones for recycling. Participants will be showcased on our Web site, our social media pages and in local media. Schools will also have everything they need to continue their Recycle My Cell activities all year long. Recycle My Cell Challenge details will be available from the Waste Reduction Week and partner Web sites on October 4, 2010. Christopher Hilkene, Communications Director, Waste Reduction Week in Canada, 416-425-1313,chilkene@hilkene.com.